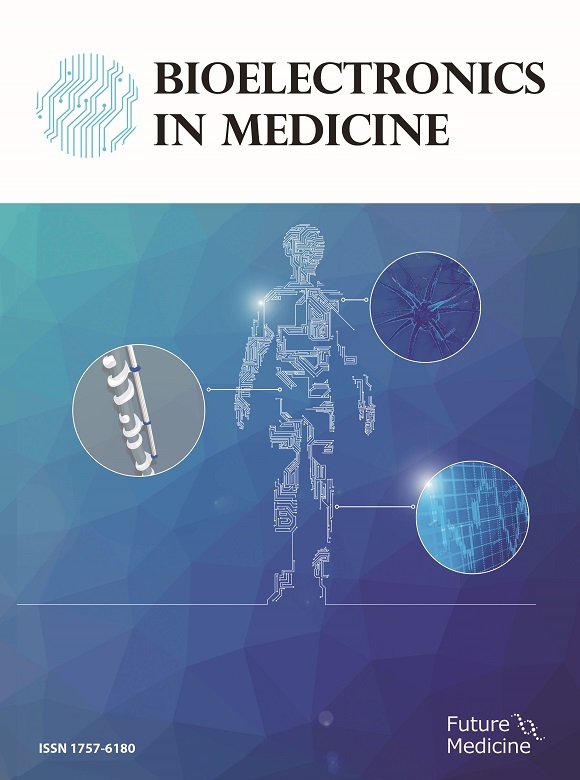 Abstract: Bioelectronics in Medicine, Volume 1, Issue 2, Page 95-99, May 2018. Abstract: Bioelectronics in Medicine, Volume 1, Issue 2, Page 101-105, May 2018. Abstract: Bioelectronics in Medicine, Volume 1, Issue 2, Page 107-116, May 2018. Abstract: Bioelectronics in Medicine, Volume 1, Issue 2, Page 117-130, May 2018. Abstract: Bioelectronics in Medicine, Volume 1, Issue 2, Page 131-137, May 2018. Abstract: Bioelectronics in Medicine, Volume 1, Issue 2, Page 139-150, May 2018. Abstract: Bioelectronics in Medicine, Volume 1, Issue 2, Page 151-165, May 2018.